Mt Arthur open cut coal mine in the Hunter Valley west of Newcastle is a prominent feature in the rural landscape. Mining operations are highly visible from Denman Road which adjoins the northern edge of the mine for approximately 4 kilometres. 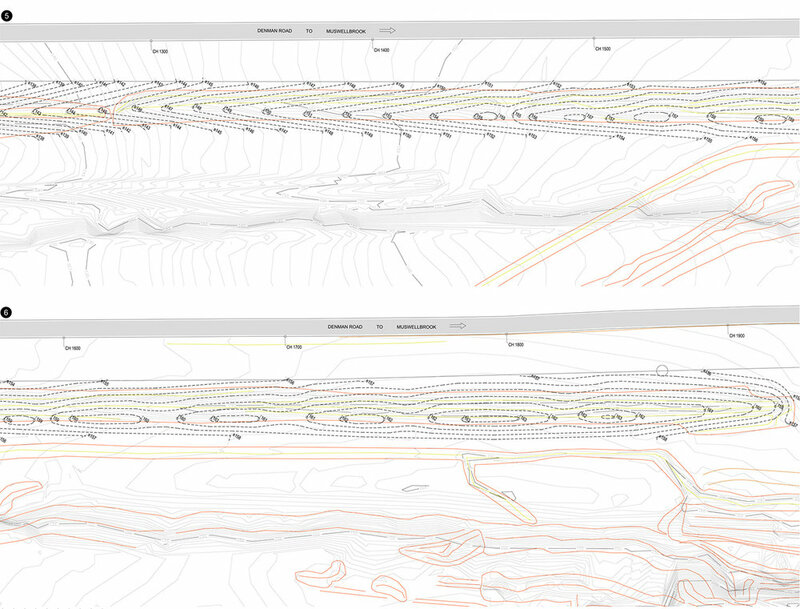 When the mine operator NSW Energy Coal decided to carry out works to screen views from Denman Road to the mining operations, Corkery Consulting was engaged to design the works. Screening options were assessed and a preferred strategy adopted to achieve the required level of visual screening of mining operations over the next 10 – 15 years. The landscape works included earth mounding along the boundary combined with tree and shrub planting of native species. A detailed visual analysis was carried out to provide the basis for design of screening works to mitigate visibility. Site conditions included existing high voltage powerlines and underground telecommunications line within the Denman Road corridor as well as a steep-sided earth bund, service road and water pipeline inside the mine site. cost effective solution based on a clear understanding of the site conditions and future mining operations adjoining Denman Road. enhance the visual screening of the new landform in the context of the current and proposed mining operations. A diverse schedule of plant species indigenous to the Hunter Valley was developed and formed the basis of detailed planting plans and specification that were provided to Energy Coal to call tenders for the works. A contractor was appointed to carry out the planting works.